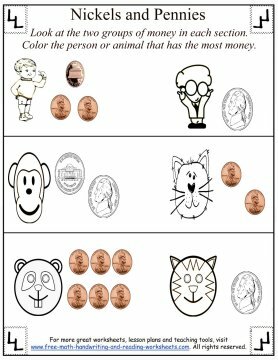 These worksheets cover counting money for kids that have already learned about pennies. 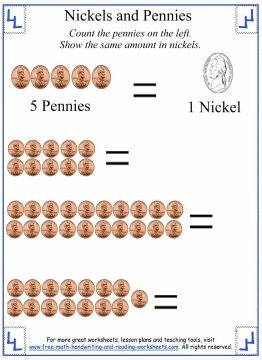 This lesson will introduce the nickel, while building upon the student's prior work with counting pennies. 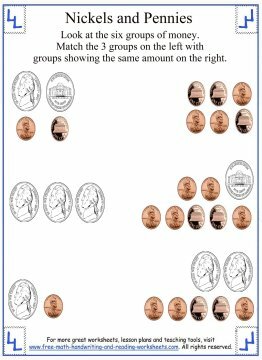 If your child hasn't learned about pennies yet, you should check out my lesson on counting pennies (see links at bottom). Make sure your child has pennies down before continuing on with higher denominations. 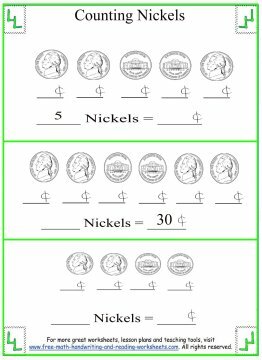 Before you start teaching your child about nickels, you might want to review the skip counting lesson on counting by fives (also at bottom). Click on the images below to open your printable worksheet in another tab. 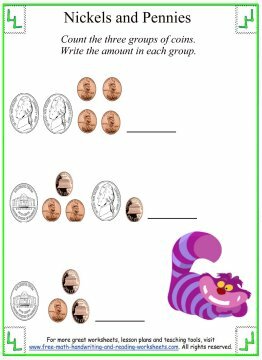 For the first activity, your child needs to count the groups of coins on the left and then draw a line to the group of coins on the right that is the same value. Next is a simple coin counting task. There are three different groups of coins, count each one and then write the value on the line provided. The third paper has three rows. In each row there are two pictures and two groups of money. Count the money in each group and then color the picture that's next to the most money. 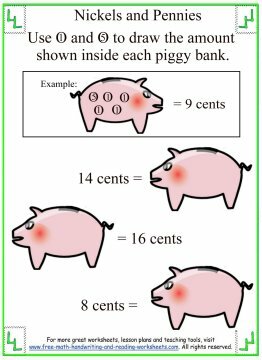 The piggy bank worksheet features three pigs. Next to each one is a monetary value. Have your child draw the coins necessary to reach that value. See the on page example. The next handout has three rows of pennies. Count the pennies and then convert them into nickels. 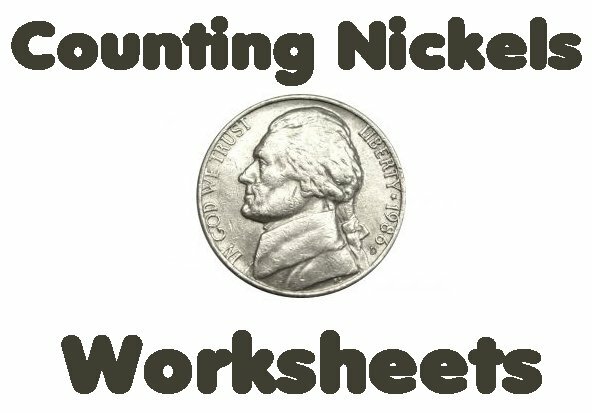 Write how many nickels it takes to show the same amount. The final paper is a simple counting task. There are three rows of nickels. In each row your child will have to count either the amount of nickels, the value of them, or both. You'll see that some of the information is filled out in the first two rows, while the last one is up to your child to fill out. For more help with money and counting, see the related pages below.